Autism diagnoses have increased 600% over the last 20 years. More children will be diagnosed with Autism this year than AIDS, diabetes and cancer combined. 1 in every 45 people are autistic. Virtually everyone’s life is touched by a member of the autism community in some way. Despite autism's prevalence it receives less than 5% of research funding as compared to other childhood disorders, and costs the nation more than $35 billion each year. The relatively small amount of funding set aside for autism research is directed almost exclusively to cause and diagnosis while outcome-focused research on education for autistic children is nearly non-existent. Data have repeatedly shown the efficacy of person-centered - or 1:1 - support as the most effective intervention, but it is not typically available in traditional school settings due to funding issues. Autism services throughout the country are not spared from general public education budget cuts, often leading to school closures, overcrowding, and overwhelmed educators. The financial strain on our public schools system contributes to the failure to meet the tremendous need for supportive learning, including evidence-based 1:1 instruction. Some children are simply denied services. For those students who do receive services there are still risks due to fewer teachers and staff who are not afforded sufficient training in special education. Despite the best of intentions, they are overloaded and frustrated. This results in children who are not attended to in the classroom, not provided an academic curriculum, and too often restrained on a regular basis (sometimes in a locked room, sometimes several times a day), or are left to their own devices when they are bullied by other children and in some cases by staff. Or worse. My daughter was diagnosed when she was 4 years old. She received numerous therapies that helped her to communicate with us. Once she gained the capacity to communicate we realized that she had an incredible mind that deserved an appropriate education, but we struggled to find a school that would provide that for her. So many parents find themselves in this same predicament. We are pulled in two opposite directions: we often rely on a dual income in order to afford all the therapies associated with diagnosis, yet the work associated with advocating for our childrens’ education is its own full time job. There is no time to simply enjoy our families. We are forced to become experts on special ed law or we risk serious oversight of our children. It can be so overwhelming. Research has demonstrated that mothers of autistic children experience stress on an order of intensity comparable to combat soldiers. Something's got to give. Evidence-based therapies that provide highly individualized education, such as Applied Behavior Analysis, are helping countless children overcome profound social and behavioral obstacles in order to lead healthy, fulfilling lives. We must invest in under-funded direct services that autistic children so urgently need so that they may realize their full potential. This is exactly why we founded Lumen Academy and why it is so desperately needed. Our school is designed not just to accommodate neurodiverse children, but is built from the ground-up based on an understanding of how their brains function so that we preserve and empower their strengths while also providing what they need to overcome their challenges. The parents are often overlooked in the focus on our children. Lumen offers relief for the parents of neurodiverse children. They will have more time to spend with their families instead of fighting for their child’s basic educational rights. We provide evidence-based therapies, multidisciplinary/holistic interventions and most importantly a positive, compassionate, and highly individualized learning environment. It is next to impossible to afford the therapies involved with the diagnosis, let alone school tuition. 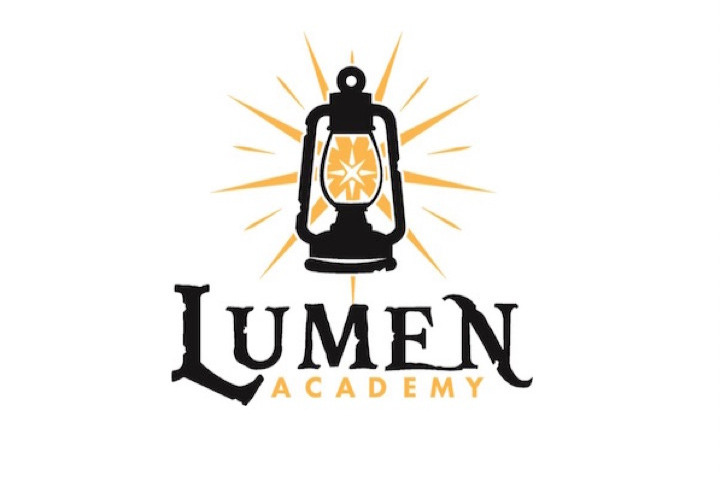 That’s why Lumen Academy’s tuition is purposefully lower: so that it is accessible to as many families who are interested in the opportunity we were providing. This is where we need your help : to cover the costs associated with operating our school so that these children have access to what they need and deserve, and removing the burden from families who are already overburdened. Your donation benefits every single one of our students. You are changing their lives! The ripple effect will impact their families, our neighborhoods and our community. Please invest in the tools that support our amazing Lumen kids in achieving their full and brilliant potential.